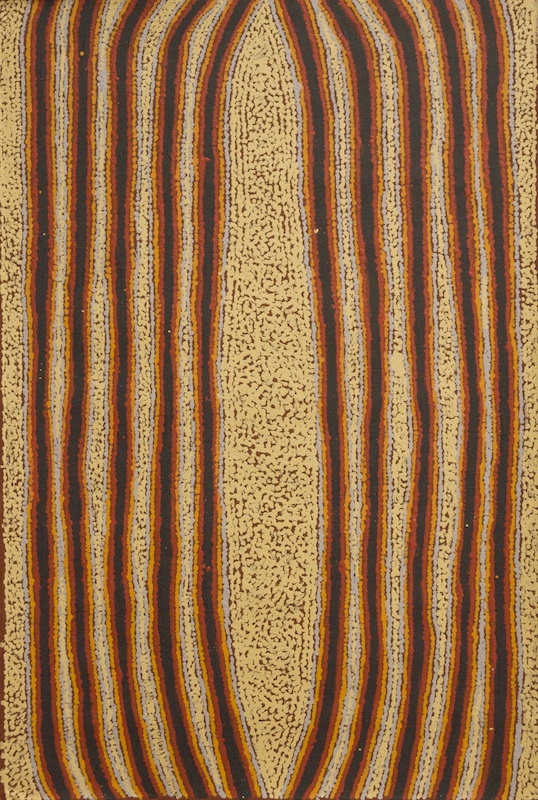 Eileen Napaltjarri grew up in Haasts Bluff, before moving to Papunya and on to Kintore, and thus she has known the Papunya Tula movement from the very start. 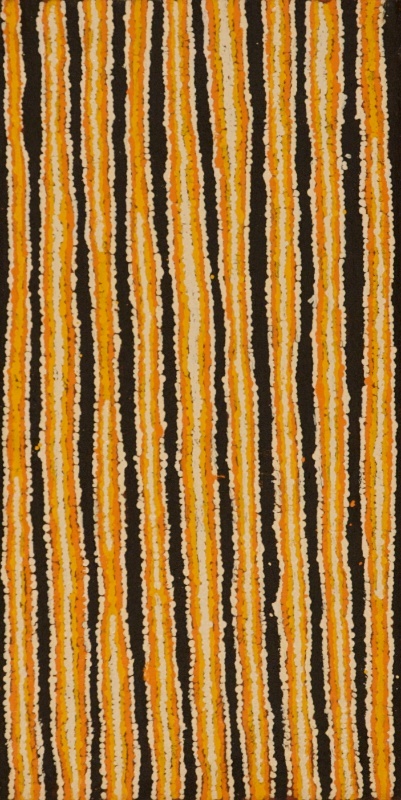 Her father Charlie Tararu Tjugurrayi was one of the founding members of Papunya Tula Artists, and her mother Tatali Nangala was also a very successful artist with the company. It was not until the end of the nineties that Eilleen began painting in earnest and it took a time before she found her true voice. What was evident from the start was an enthusiasm to experiment and explore which still remains. 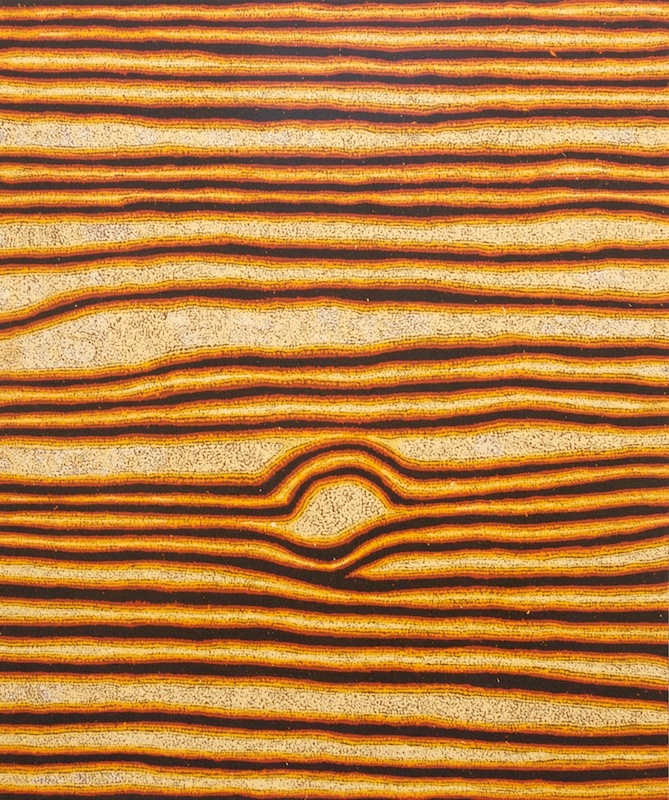 However, once her fields of shimmering light began to consolidate, they formed the basis for a body of work that is literally illuminating. 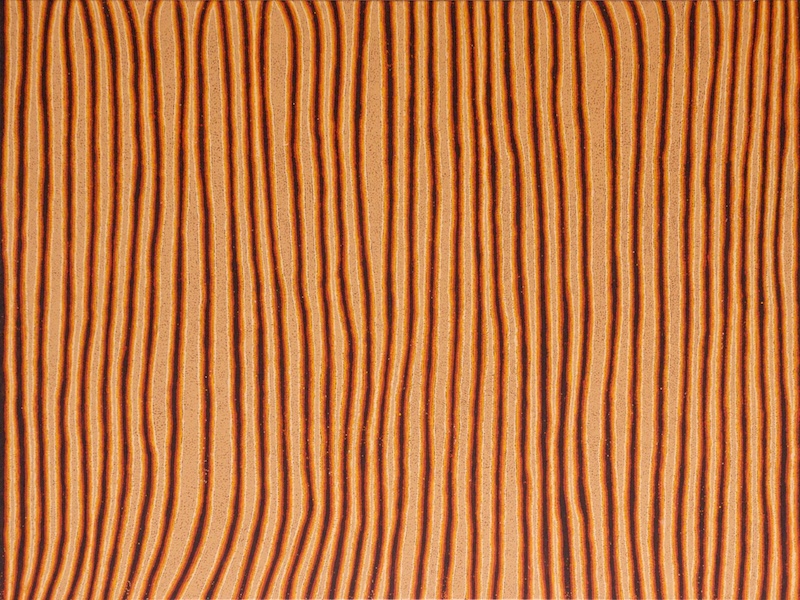 Eileen has had two solo exhibitions at Utopia Art Sydney, and her work has appeared in numerous group exhibitions both nationally and internationally. 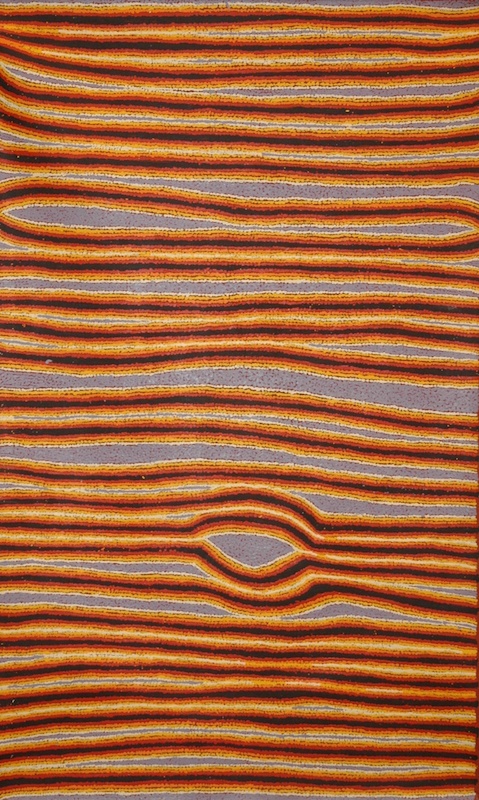 She received the Redlands Westpac Art Prize, Emerging Artist Award in 2005 and has work in major national art collections, including the Art Gallery of New South Wales and the National Gallery of Australia.